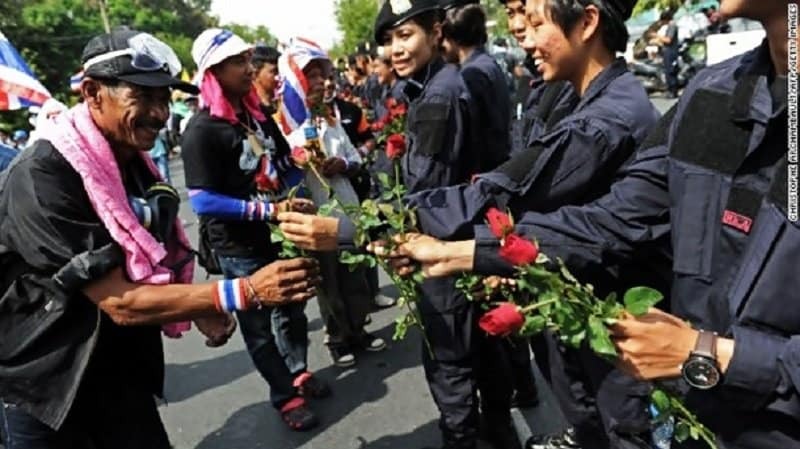 These cops on the other side of the world are trying to soothe protestors by handing them flowers. 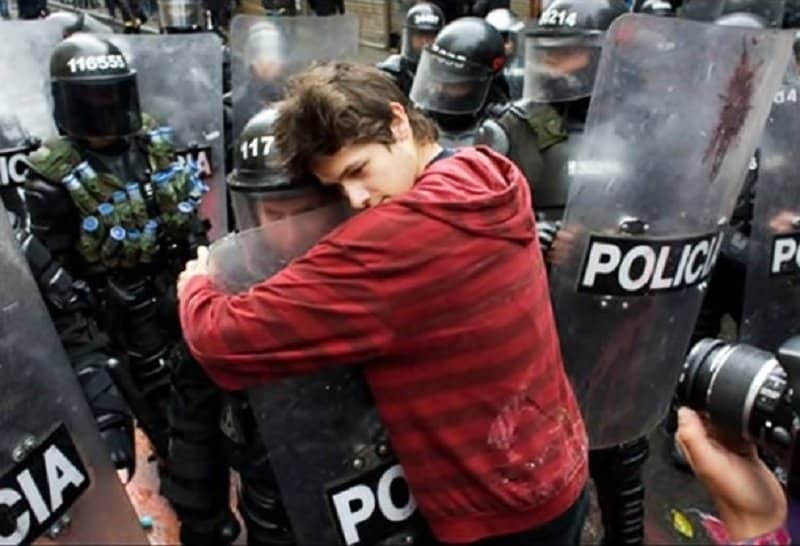 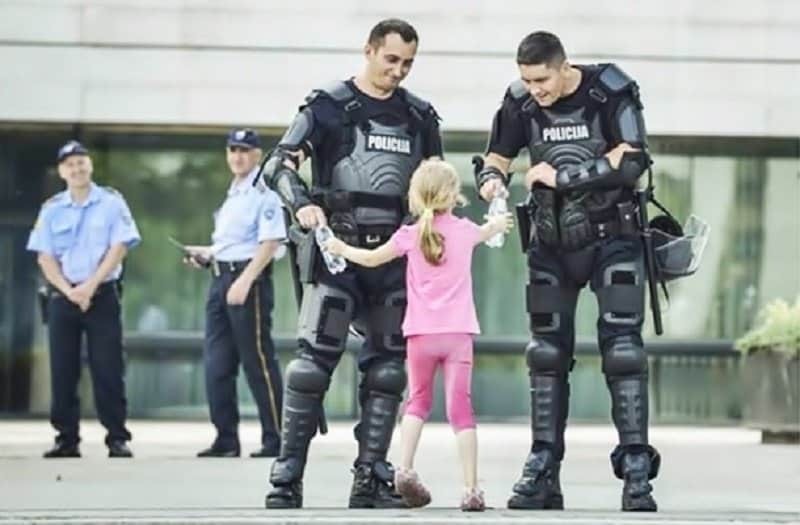 Even a riot cop can’t hit someone who is trying to hug him! 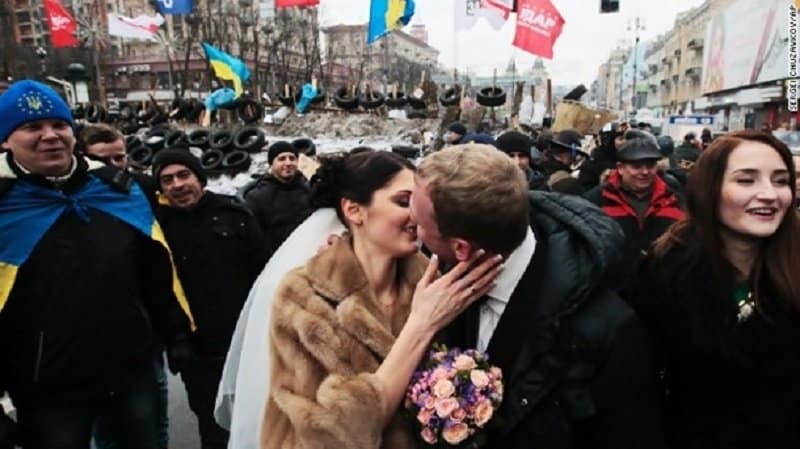 This couple decided to get married in the middle of a protest. 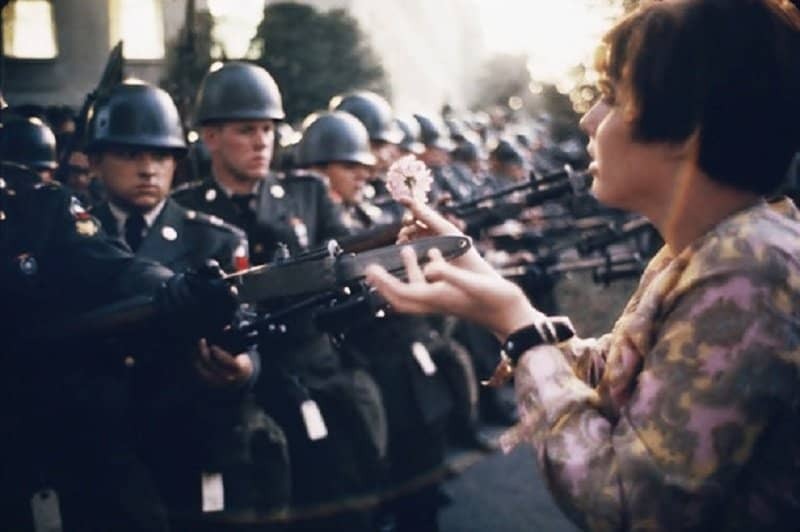 Marriage is like war anyways right? 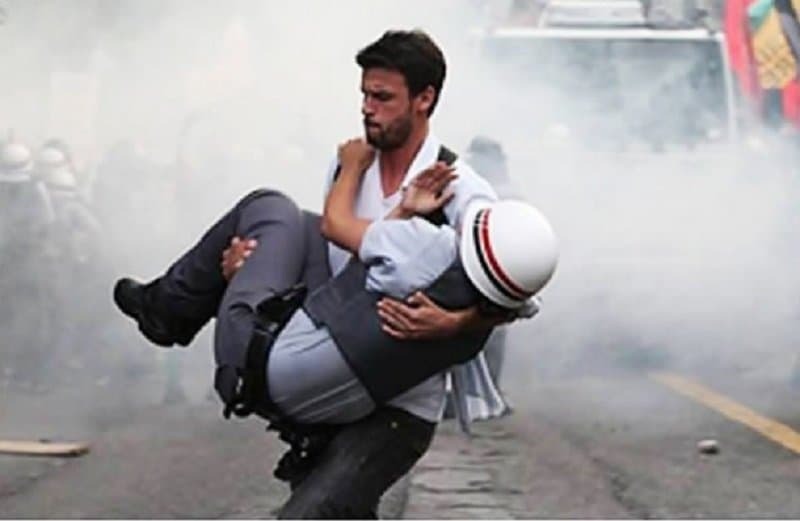 This passerby decided to help a wounded cop amidst a heated riot. 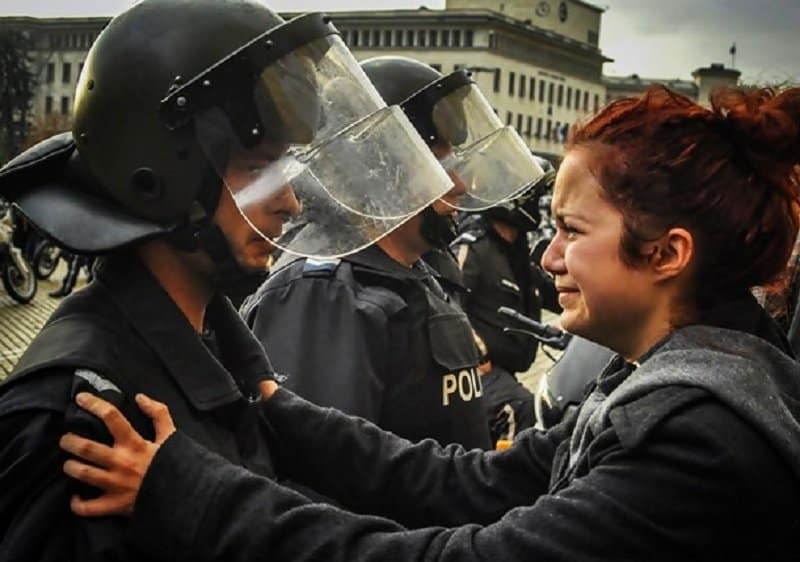 This protestor is moved to tears in an attempt to persuade the police to hear their cause. 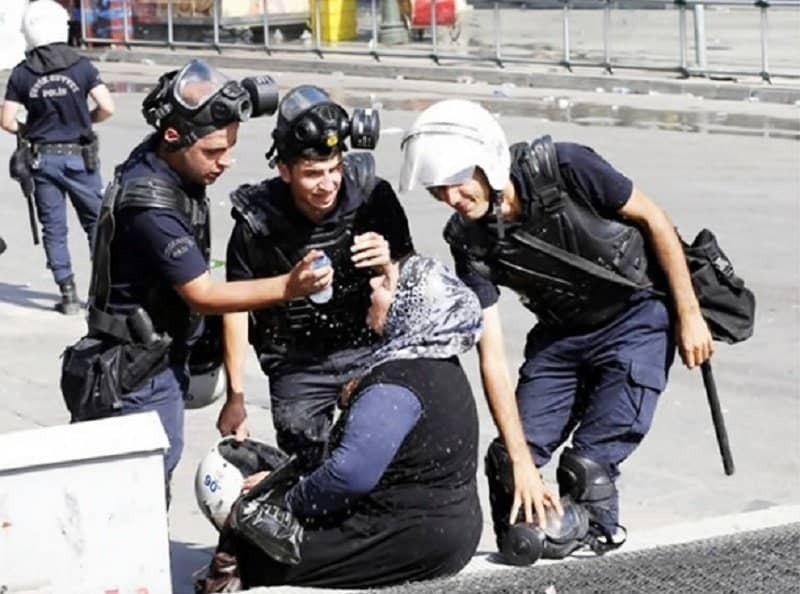 These cops show a genuine interest in helping out a lady who has been hit by tear gas. 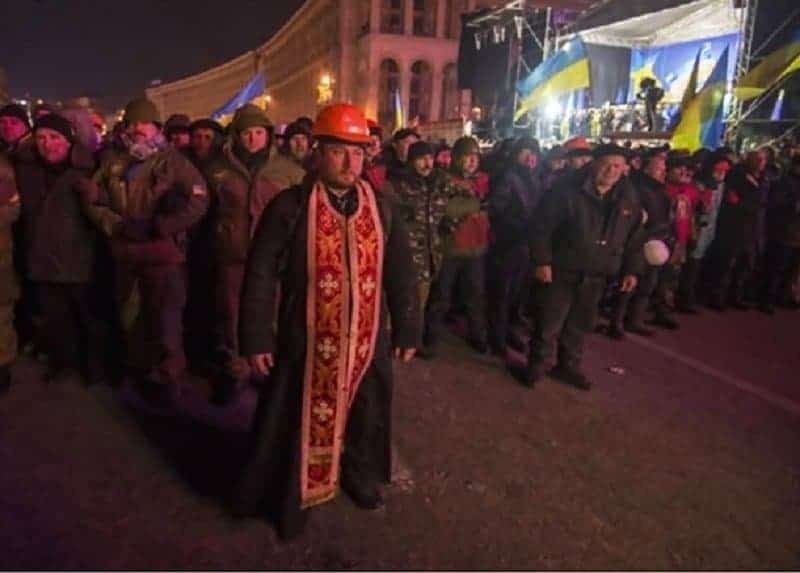 This priest looks inspirational as he takes a stand for a cause that is close to his heart. 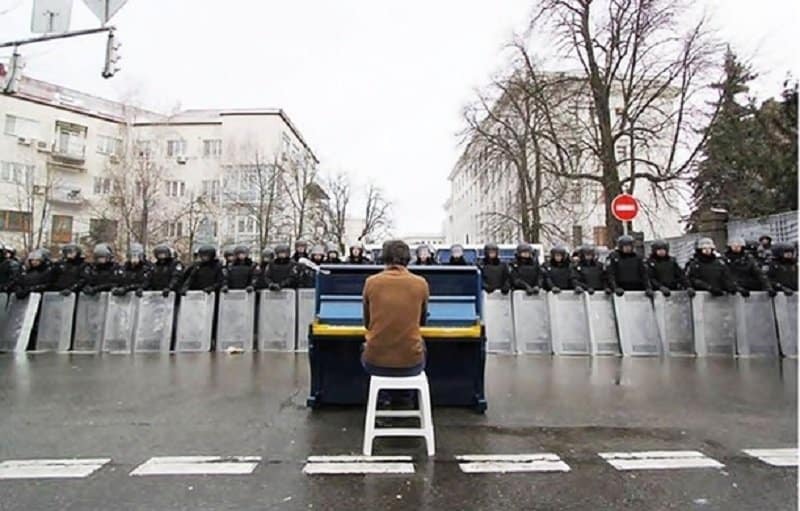 This musician performs something special for cops in order to ease the tension.